Home > AIPMT > CBSE > AIPMT Re Exam Admit Card 2015 From 15th July 2015! AIPMT Re Exam Admit Card 2015 From 15th July 2015! In the aftermath of the question paper leak and allegations of cheating, the Supreme Court of India directed the Central Board of Secondary Education (CBSE) to Re-Conduct the All India Pre-Medical/ Pre-Dental Test (AIPMT) 2015. AIPMT 2015 is organized every year for 15% merit seat into the Medical/Dental colleges of all over India. Also state governments/universities will admit students into MBBS and BDS through AIPMT 2015 merit list. The Apex Court scrapped the AIPMT held on 03 May 2015 after the Haryana Police unearthed a massive answer key scam. A nation-wide gang had reportedly struck a deal with aspiring docs to help them crack question papers of the medical entrance test using deceitful measures in return for hefty fees ranging between 15-20 lakh from each. CBSE has decided to hold the AIPMT 2015 re exam on 25th July (Saturday) for admission to MBBS/BDS Courses in the academic session 2015-16. As per the statement issued by the CBSE, no fresh applications will be accepted and it will be a retest only in respect of the candidates who had applied for the medical entrance exam from December 01, 2014 to January 31, 2015 with requisite fee. CBSE is expected to release the AIPMT 2015 Admit Card/Hall Ticket 10 days before the entrance exam. The crucial document is likely to be available for downloading from 15th July onwards. Candidates who have registered for the prestigious exam can get their respective Admit Cards by logging onto the main web portal on aipmt.nic.in after they are released. 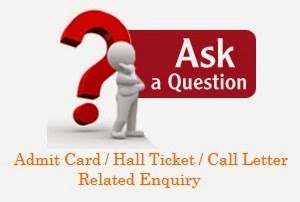 ...we will update you the moment AIPMT 2015 Admit Cards are uploaded.